The Colorado lifestyle comprises a vibrant intermingling of mountain-loving residents, adventure-seeking vacationers and an influx of newcomers who have chosen to start fresh careers in the most beautiful state in the country. This diverse and growing mixture of locals, transplants and tourists is responsible for much of Denver’s rich and evolving culture. However, along with our population growth, road congestion and the frequency of traffic accidents has also increased. If you’ve been injured in a car accident, you need more than just legal advice. You need an experienced, results-driven auto accident attorney who will help you through every step of your case. For more than sixty years, the Frickey Law Firm has protected the rights of Coloradans and built a hard-earned reputation for success in verdicts and settlements. Check to see if anyone is injured: The first thing you should do after a car accident is make sure that you and your passengers are not injured. If anyone is hurt, call for medical assistance right away. Don’t move anyone without the assistance of medical professionals. Call the police: If you or anyone in your car has sustained injuries, you are required to contact the police. However, it’s still a good idea to call the police and file a report even if you think you feel fine. Not only are accident reports often necessary for insurance purposes, they can also strengthen your case. Remain at the scene of the accident: As a responsible driver, you must never leave the scene of an accident. Colorado law requires all drivers to stop at the scene of automobile collisions. If you fail to comply with this law, you can face hit-and-run criminal charges, which are also referred to as “leaving the scene of an accident” charges. Do not move your car: In minor fender-benders in which no injuries or alcohol are involved, it’s okay to move your car to a safe location out of traffic. However, if injuries are involved, it’s important to think of your crash site as a crime scene and leave your car where it is for the sake of evidence preservation. Get the other driver’s insurance information: Obtain information on the other vehicle's make, model and license plate. Also get the other driver’s name, driver's license number, insurance details and contact information. If there are any witnesses to the accident, collect their full names and contact information as well. Call your insurance company: This can wait until you’ve left the scene of the accident, but you should always notify your insurance company the same day as your collision. You are legally required to report accidents, but do not admit fault and do not sign any paperwork. Seek medical attention: This step should be obvious if you’ve suffered a serious injury, but some injuries, like whiplash, can take days or even weeks to fully manifest. Even if your collision seems minor and you feel okay, it’s a good idea to undergo a medical evaluation. Let any paramedics called to the scene examine you, and visit a doctor if emergency personnel weren’t dispatched. Contact the Frickey Law Firm at 303 237-7373: You won't know if you have a potential legal action without speaking to a car accident lawyer who is familiar with the intricacies of the law. When you call us for a complimentary initial consultation, we will discuss your case and help you decide if legal action is right for you. When speaking with the other driver, the police or the insurance agent, be sure to only discuss the pertinent facts and never volunteer more information than necessary. Any admission of wrongdoing could be used against you later when you choose to seek damages. Don't sign anything from an insurance company. Following your accident, the insurance company might approach you with a settlement offer. When you're facing extensive medical bills, the prospect of immediate cash may be alluring. However, remember that insurance companies are in the business of making money, not protecting your best interests. The settlement an insurer offers will likely be far less than the true value of your damages. The experienced car accident lawyers at the Frickey Law Firm understand the complexities of car accident cases and the schemes used by insurance companies. We are in your corner, and we are committed to always putting your best interests first. Like almost all auto crashes, wrecks caused by texting while behind the wheel are completely preventable. Studies show that texting and driving impairs your ability to effectively react to road and traffic conditions to an extent that is similar to driving while under the influence of alcohol. The National Highway Traffic Safety Administration (NHTSA) estimates that drivers are 23 times more likely to be involved in an accident if they are texting and driving. The NHTSA also reports that texting takes a driver’s eyes off the road for almost five seconds per text. If you are driving 55 miles per hour, that equates to driving the length of a football field blindfolded. Texting while behind the wheel is just one example of driver distraction. Any time you take your eyes off the road, take your hands off the wheel or take your mind off the task of driving, you place everyone around you at risk. While rear-end collisions don’t always cause substantial vehicle damage, these common accidents often result in bodily injury. In fact, rear-end accident collisions are a leading cause of injury in Colorado and throughout the country. Our attorneys have a strong background in these types of accidents and proven record of success in verdicts and settlements. Rollover accidents are incredibly dangerous and often fatal. The injuries sustained in rollovers can lead to life-altering injuries, mounting medical bills and time away from your job. Vehicles that have higher centers of gravity, such as SUVs, minivans and pickup trucks, are more susceptible to rollovers if involved in a single-car crash, according to the NHTSA. Tripped rollover: This can occur when a vehicle with a higher center of gravity strikes something low, like a curb or pothole. NHSTA data shows that 95% of single-vehicle rollovers are tripped. Top-heavy vehicles: While 25% of rollover accidents involve sedans, SUVs account for more than half. Overloaded vehicles: When significant weight is added to a vehicle, the center of gravity is raised and the likelihood of a rollover is increased. Aggressive drivers: Driving at high speeds or making quick lane changes and sharp turns can cause a rollover crash. If you’ve been in a rollover accident, call us today for a complimentary consultation. Liability coverage is not always enough to adequately cover damages; even worse, many drivers don’t carry any insurance at all. According to the latest studies by the Insurance Information Institute, 13.3% of Colorado drivers are uninsured. If you are in an accident with a motorist who doesn’t carry insurance or doesn’t carry enough insurance, it can make it difficult to seek compensation for your damages. Fortunately, the automobile accident lawyers at the Frickey Law Firm have helped many clients who have been in collisions with uninsured or underinsured drivers. We will do our best to ease your burdens and fight to help you get the full compensation you deserve. In 2016, there were 161 fatalities due to alcohol-impaired drivers in Colorado according to the National Highway Traffic Safety Administration (NHTSA). Over 25% of all traffic related fatalities in Colorado in 2016 were due to alcohol impairment according to the NHTSA. Sadly, money cannot replace the life of a loved one lost due to someone else’s carless behavior. But the drunk driving accident lawyers at the Frickey Law Firm firmly believe in helping your family recover after a tragedy and sending a message that drunk driving will not be tolerated. 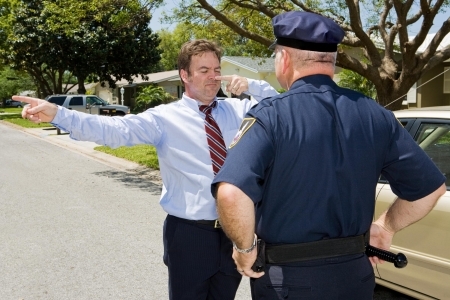 Many parties can be at fault for a drunk driving accident. If the driver of the other vehicle was found guilty in criminal court of DUI, you may be eligible for punitive damages. The establishment that served the drunk driver might also be partially responsible for the accident. Our attorneys will interview wait staff and bartenders, review security footage and review bar tabs to determine if the driver was over served. If the driver was over served, the establishment that served the driver might be liable as well. The sudden loss of a loved one in a fatal car wreck is one of the most devastating losses a person can experience. 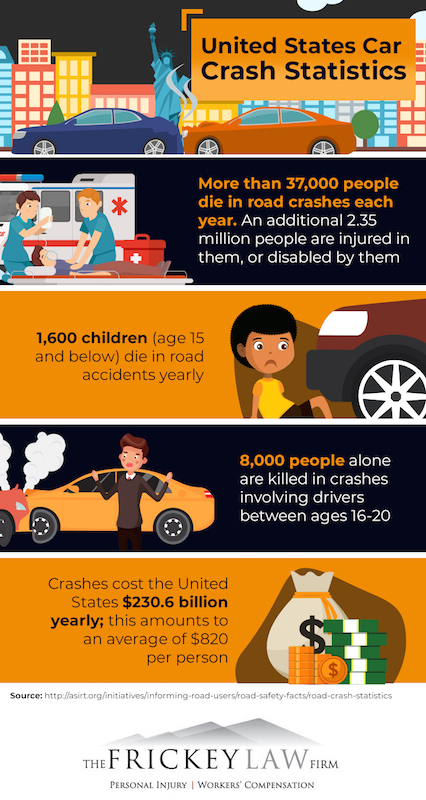 Tragically, car accidents are a leading cause of death in the United States, responsible for nearly 40,000 lost lives every year, according to the NHSTA. There is simply no monetary award that can replace someone you love. However, compensation in a wrongful death lawsuit can help you and your family stay financially afloat during this heart wrenching time. Wrongful death cases are not meant to erase the pain and justified anger that come naturally when a loved one is needlessly torn from you because of someone’s negligence. They are intended to prevent your emotional devastation from being compounded by financial struggles. Additionally, a wrongful death case will make the defendant accountable for the suffering endured by you and your family. In Colorado, EDR data can be used in court. Our experienced auto accident lawyers will access and evaluate your EDR data to ensure the facts of your case are clear, and the insurance company can’t get away with a low-ball settlement. Auto accident cases can be incredibly complex. Without the guidance and representation of an experienced attorney, you risk missing essential steps that can protect your legal rights, or fail to adhere to the specific rules and procedures of Colorado law. Even if your claim is successful, if you don’t know how to effectively negotiate with insurance companies, you probably won’t recover the full amount of compensation to which you are rightfully entitled. In the fight of your life, we’re fighting for you. The best lawyers for car accidents are those with skill, knowledge and experience with both car accident cases and insurance company schemes. At the Frickey Law Firm, our car wreck attorneys are intimate with both Colorado law and the many ways insurance companies will try to devalue, delay or outright deny your claim. We are committed to helping you obtain the justice and maximum compensation you deserve. With more than six decades of experience, our firm has protected the rights of thousands of clients and helped them obtain millions of dollars in combined verdicts and settlements. Our team will not only negotiate with the at-fault driver’s insurance company, but we will also help you deal with your own insurance claims. We know that Colorado insurers do not offer personal injury protection (PIP) insurance, and that an at-fault driver does not have to pay all costs upfront. We also know that due to the economy and the rising costs of health insurance, many people do not have private health insurance. Our experienced car accident attorneys can help you find doctors who will treat you while we resolve your car accident case without a lien claim being filed against you. If you or someone you love has suffered serious injuries in a wreck, our car accident attorneys are standing by to help. Contact the Frickey Law Firm today by completing the form on this page, using our convenient chat function or calling 303-237-7373 for a complimentary case evaluation. We serve clients from Denver, Boulder, Lakewood and surrounding Colorado communities.